Velocity Solutions’ Relationship Rebate Solution™ provides financial institutions with the tools and strategy to drive new revenue and increase retention. Many institutions are implementing new account fees to offset the loss of fee income associated with overdraft revenue. What is the best strategy to implement these new account fees and drive revenue and account holder satisfaction? Providing account holders with clear choices and alternatives in how they pay for banking services is critical. Consumers’ price sensitivity varies significantly across the board. Understanding these segments is key to maximizing revenue and retention. Some products and services have high price inelasticity where others do not. Many institutions already automatically waive fees if an account holder meets certain established criteria such as minimum balance, direct deposit, etc. Generally, these fee waivers are hard-coded in the financial institution’s system and the amounts are refunded to account holders automatically. A key component of our Relationship Rebate Solution is that the rebate is not hard-coded based on the behavior of the consumer (in other words, given automatically), but is provided to those who earn the rebate and take the affirmative step of redeeming it. With our Relationship Rebate Solution, consumers most sensitive to pricing will redeem their rebate, while those who are less sensitive will not redeem, and the financial institution keeps the additional revenue. Our analysis indicates this can be a substantial savings to the financial institution. 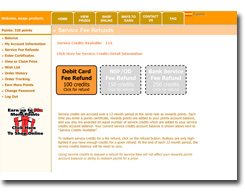 As part of our Account Revenue Solution™, our online redemption system is designed to completely manage and deliver your Relationship Rebate Solution. 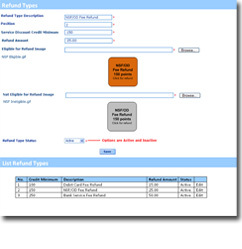 We automate the system and even provide consulting on how and when to rebate the fees. Contact us for information on how this solution can significantly benefit your financial institution’s bottom line.